Onno van der Hart | Ph.D.
Onno van der Hart offers, nationally and internationally, training and consultation on trauma-related dissociation, complex trauma-related disorders including the dissociative disorders. 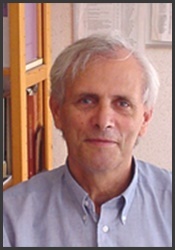 A psychologist, adult psychotherapist, trained family therapist and researcher, he is Emeritus Professor of Psychopathology of Chronic Traumatization at the Department of Clinical and Health Psychology at Utrecht University, the Netherlands, and, until January 1, 2013, a psychologist/ psychotherapist at the Sinai Center for Mental Health, Amstelveen. He is clinical consultant of the Center for Post-Trauma Therapy and Trauma Education, Helsinki and Oulu, Finland. He was Chief of Research at the Cats-Polm Institute—a research institute in the area of childhood abuse and neglect—in Zeist and a lead psychotherapist, specialized in the treatment of clients with complex trauma-related disorders, at the Mental Health Center Buitenamstel in Amsterdam. He has been on the Editorial Board of a number of scientific journals, and he has published several books in the area of trauma and dissociation, loss, and bereavement, and over 100 articles in peer-reviewed scientific journals (several of which can be found at this website). Onno van der Hart is a Past-President of the International Society for Traumatic Stress Studies (ISTSS), a former Vice-President and Fellow of the International Society for the Study of Dissociation and Fellow of the American Society of Clinical Hypnosis (ASCH). He is a scholar in Pierre Janet studies. Prof. Van der Hart has worked with colleagues Ellert Nijenhuis, PhD, and Kathy Steele, MN, CS, on a theoretical approach on trauma-related dissociation of the personality and treatment model which unifies psychiatric disorders with a traumatic stress origin. Their combined efforts resulted, among other things, in the publication of their book, The Haunted Self: Structural Dissociation and the Treatment of Chronic Traumatization (New YorkLondon: W.W. Norton & Cie, 2006), for which they received the Media Award of the International Society for the Study of Trauma and Dissociation. A more recent, related publication is the book Coping with Trauma-related Dissociation: Skills Training for and Therapists, by Suzette Boon, Kathy Steele and Onno van der Hart (New YorkLondon: W. W. Norton & Co), for which the authors received the 2011 Pierre Janet Writing Award of the International Society for the Study of Trauma and Dissociation.